When we were on our reconnaissance visit to Wagga in late 2010, unbeknownst to us a new business was being started that 1) would have hastened our decision, and 2) has made our move more enjoyable. 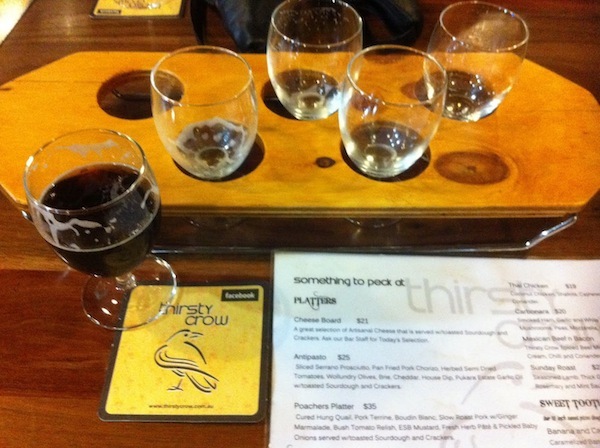 In February 2011, Thirsty Crow became Wagga’s first (and only) craft brewery and brew pub. It is about to celebrate its first anniversary. The heart of the Crow...stainless steel tanks for brewing. It will be expanding this year. 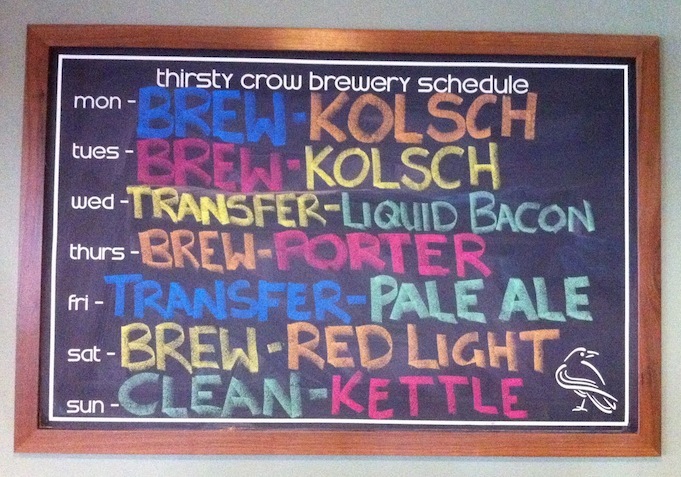 As a bit of an overview of Thirsty Crow, it is a great place. Large warehouse-like space, funky decor (nice art, great furniture), and good food. 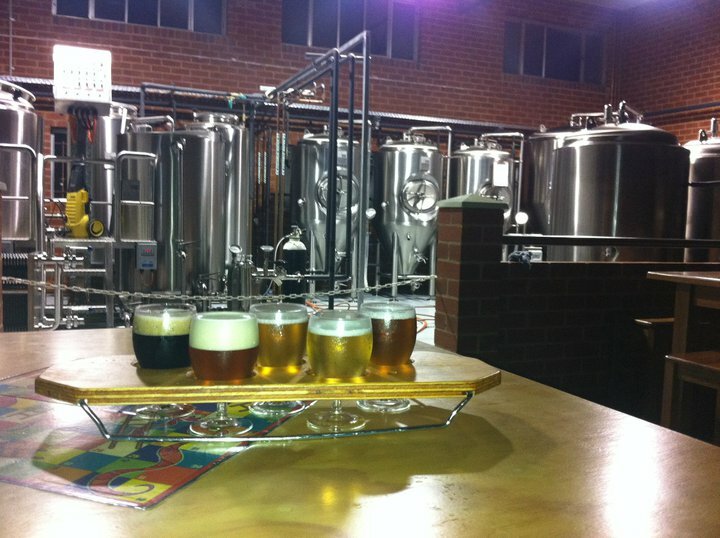 The focal point of the venue is the brewing facility, which is right out in the open. The menu is pretty small, mostly pizza but very interesting ones. The Thai chicken is Lisa’s favourite; I like the bacon and mushroom one. We haven’t had the nerve to try the “Sunday roast” pizza yet. Of course, there is an interesting beer selection, both made there and elsewhere. And there is a good list of local wines, though we only have beer when we go. The clientele is not your typical Wagga bar crowd (or so we are told…we don’t go to other bars here), being mostly a bit older, and quite often a lot of groups of women. The owner is quite happy with the people that come in, sees them as serious beer people as opposed to heavy drinkers, and is proud of the fact that despite there being a lot of alcohol consumed there, in the year it has been open there hasn’t been any sort of bad incident (I think the term he used was dust up…). This is in contrast to the bars down the street that are known to be pretty rowdy. Besides pints, middys and schooners of beer, you can also get sampler trays. Monday nights in Wagga are always a bit dead; not much is open, people are probably hung over still, so not a lot of drinking going on. 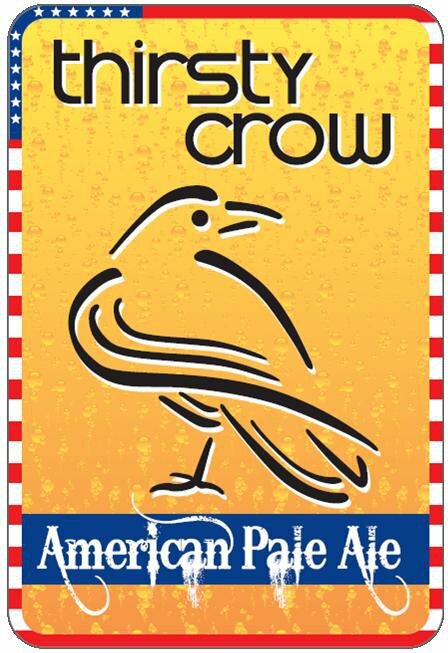 Because of this, Thirsty Crow has cheap beer on Monday for members (we are). So we occasionally (not often enough) go there for pizza and beer. Another new initiative for Mondays is a small-group beer tasting session with the brewmeister. After seeing it announced on Facebook, and Dan emailed the guy to sign up for the first one while Lisa would be somewhere on a plane over the Pacific. She will maybe try to get to one later in the year. The 'label' for the vanilla milk stout. They don't bottle the beer yet, but these are on the taps. The session was quite fun and informative. And it wasn’t just a tasting really – there was some work involved. Not hard yakka, but yakka just the same. Everyone was given a scoring sheet based on the official beer competition judging guide and had to give their impressions of the beers, not just on how much you liked it but on how it fit the profile of what that style of beer is supposed to be. Craig, the owner and brewer, was using this feedback to help him perfect the beer both for the customers but also for an upcoming beer competition in Melbourne. They won a medal last year for the vanilla milk stout, after only being in business for a few months, and want another medal this year. First up was the Kolsch, a light German-style beer that is, honestly, a bit boring. But as Kolsch’s go, it was an OK one…everyone agreed but also most of the people there don’t want that kind of beer. I ranked it 11.5 out of 15. It was a bit too bitter for this style, and there wasn’t much of an aroma. A chalkboard on one wall keeps people informed of what is happening in the brewery. Next came the latest batch of the stout. I have had this before, but not this batch. It is a nice dark, heavy beer, but I felt the head didn’t last long enough. Taste and smell were a bit off too, because the latest batch of vanilla wasn’t as good. Vanilla extract is processed using bourbon, and this one was very strong; so strong, in fact, that it was noticeable and overpowered the usual chocolate and coffee flavours of a good stout and the real vanilla flavour itself. Score: 12.5/15. Third on the menu was the Robust Porter. Good toasty, chocolatey flavours, but I thought it was a bit too dark in colour to be perfect. And sort of a one-note nose. 12/15. The winner of the night, and one of my favorite beers. The last one we got was the Pale Ale. It is a great bitter and citrusy ale! I love it…it is my go-to beer when we go there. 13.5/15 – it lost a 1/2 point each on of the three categories: appearance (too dark I thought), aroma (a bit too much citrus, not enough malt) and taste (I think it could have been a bit more bitter and dry). It was a fun evening of learning bit about the short history of the brewery/pub, a lot about beer making, quite a bit about the beer culture in Wagga (lack of really!) and Australia (not bad), and what is in store for the future of Thirsty Crow (more capacity, a bottling machine!). I was sitting right beside Craig, so had some good chats about beer around the world, not just what he makes. He’s a huge beer aficionado. One of the interesting things is that he knows what he can’t make well and brings it in from other craft brewers around the country, and on a revolving basis so there is always a variety of external beer both on tap and in bottles. Of course, I haven’t gotten around to trying most of it. I think only once have I had a non-TC beer there, something on tap that looked too interesting not to try. An example from above is that when we first moved here, there was a Hefewiezen available. We both love wheat beers! But he hasn’t made it recently, and the reason (I heard) is that the cheap Chinese-made equipment he has in the brewery can’t handle the heat needed to properly brew beer with wheat in it. Interesting! The other participants at the session were an interesting bunch. Overall, it was a pretty sedate affair; most of the people just listened to Craig talk. But at my end of the table there was some discussion. There was a young guy who was quite obviously a beer fan, and a regular at TC and was quite friendly. There was another guy who I would use two of the same descriptors for…fan, regular…but not overly talkative. And there was a couple (maybe? not actually sure) who I had a great chat with; she was an Aussie who had recently spent 2 years in Canada, he was a Canadian (Ottawa region with a French accent) now here in Wagga (I’m assuming her visa ran out and he came back with her…he said he had been here for 8 months and had about another year left, which means young tourist/worker visa). He was quite quiet, but she was very friendly. We talked about how the craft beer culture is far better in Canada! But, at least that culture is something that is getting a bit better here and hopefully will continue to grow. This entry was posted in beer, Thirsty Crow, wagga. Bookmark the permalink. 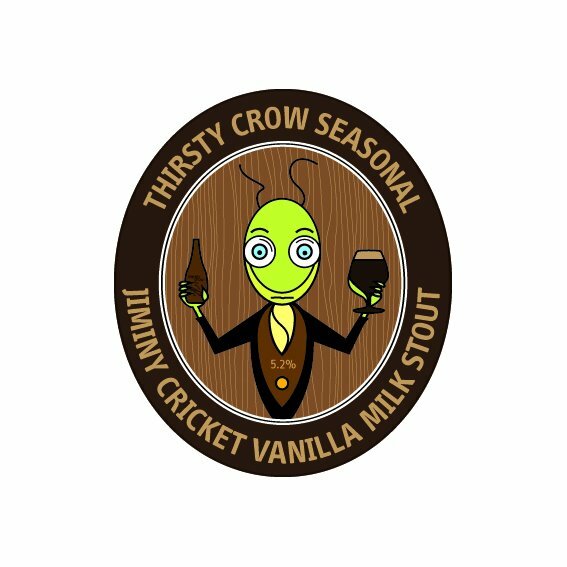 Vanilla milk stout sounds fantastic!!! The stout is pretty spectacular. Yesterday it was listed at #29 on the Hottest 100 Craft Beers list (an Australia Day thing that coincided with the national ‘youth’ radio station’s annual hottest 100 songs). It was just a vote thing, no real judging. But pretty good considering it is only available in the brewery. A lot of the list was ones available in bottles all over so have a much wider fan base (and some of it I wouldn’t call craft beer any more than I would call Rickards craft beer – just a smaller label from a major brewer). Thirsty Crow’s summer lager (which I had a few of a couple of nights ago with bacon pizza!) also made the top 100!